I love Freycinet National Park. 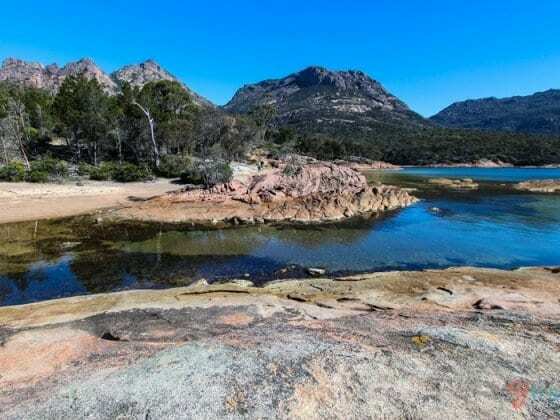 If you asked me what are my top places to visit in Tasmania, Freycinet would be at the top of the list and I would rank it in the top 5 of my favourite National Parks in Australia. 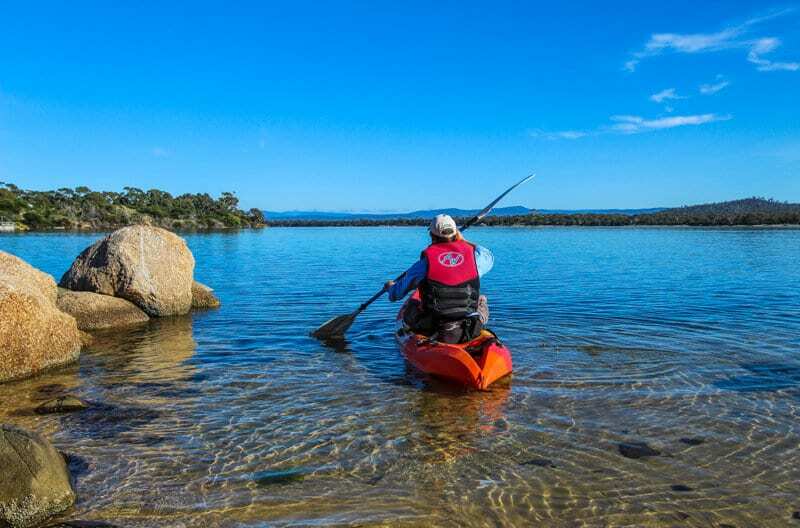 Whilst Tasmania has loads to offer as Australia’s smallest state with some lovely towns to visit, world heritage listed wilderness areas, history, wildlife, and a terrific food and wine industry, it’s Freycinet that really captured my heart. 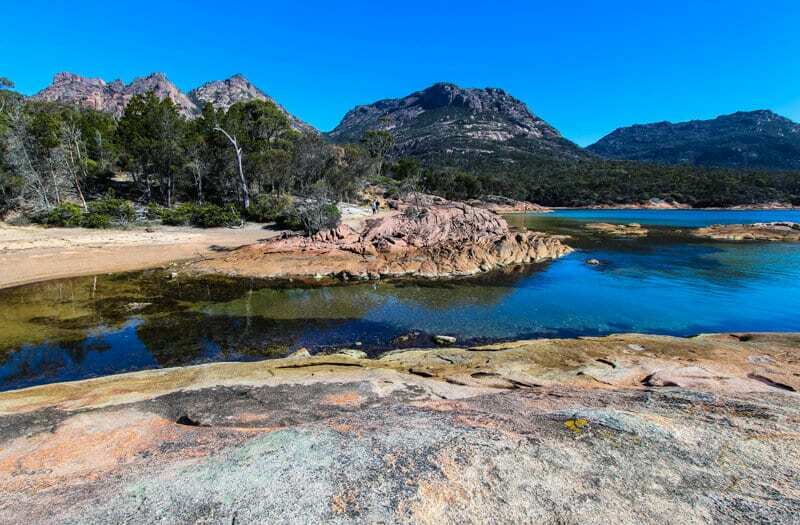 Freycinet is a spectacular peninsular of pink granite mountains surrounded by azure bays, pure white beaches, coastal dues and dry eucalypt forest. 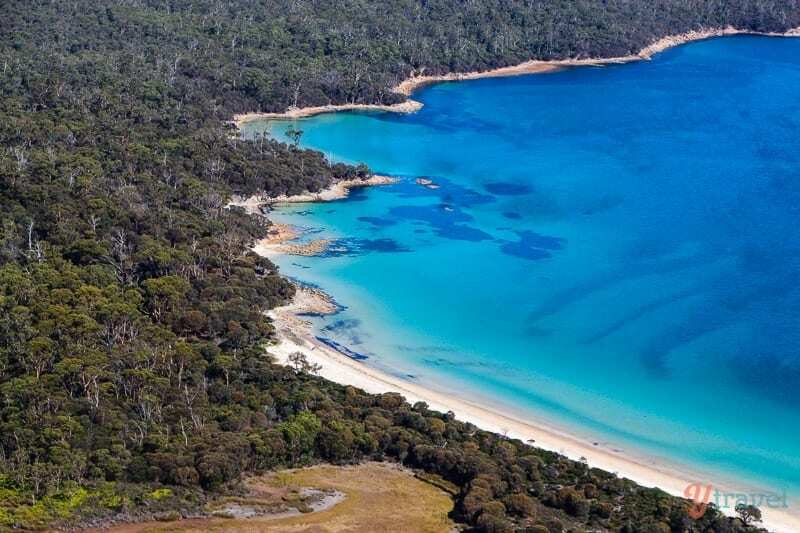 Located on the east coast of Tasmania, it occupies a large part of the Freycinet Peninsula, named after French navigator Louis de Freycinet. 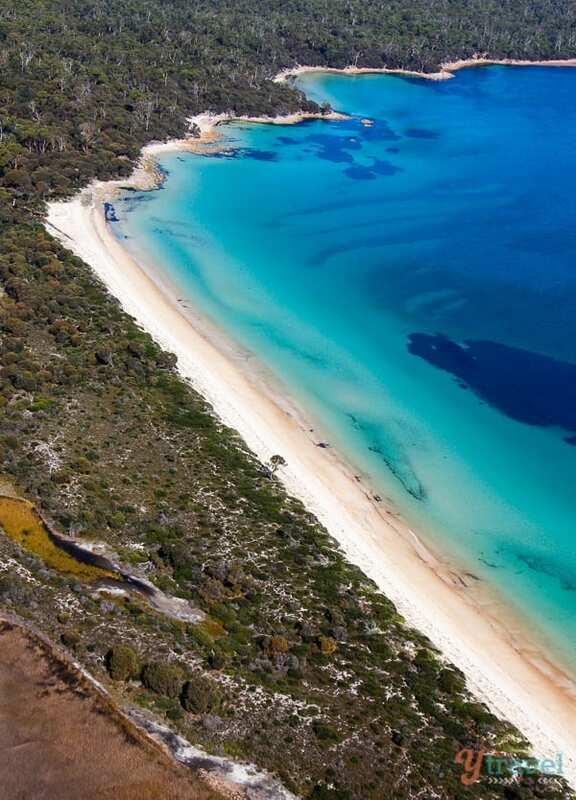 Within Freycinet Peninsular is famous Wineglass Bay – a beach consistently rated as one of the world’s best. Three pink granite peaks – the Hazard mountains – rise dramatically protecting the bay from the infiltration of humanity. You’ve probably seen countless photos, the shimmering crescent of white sand meeting the turquoise water is easily recognizable. We started our Wineglass Bay walk early, at 5.30am, as we wanted to reach The Lookout for sunrise, and to beat the anticipated crowds. From the car park to The Lookout is approximately a 45 minute walk. A steady uphill climb, but a well-made path and whilst we didn’t have the kids with us this time we did witness many others hiking with kids so it’s not beyond a family outing. 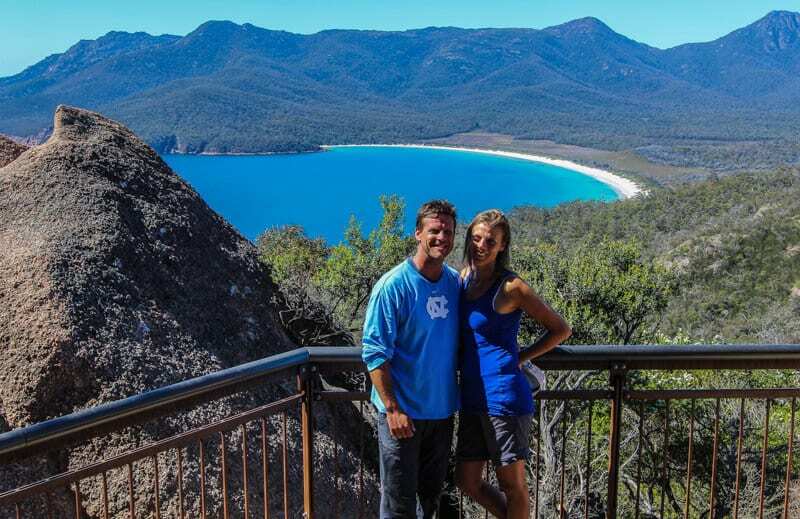 Once you reach The Lookout your reward is a spectacular view over Wineglass Bay, and by arriving early we were fortunate to have the moment all to ourselves. From The Lookout, the walk down onto the beach itself is steep but a short one of 20 minutes, and I couldn’t believe we were all alone on famous Wineglass Bay. 1.5 hours return to one of Tasmania’s most celebrated views. The track is a short, fairly steep climb to the saddle between Mt Amos and Mt Mayson. 2.5 hours return from the car park to The Lookout then downhill on to the beach. 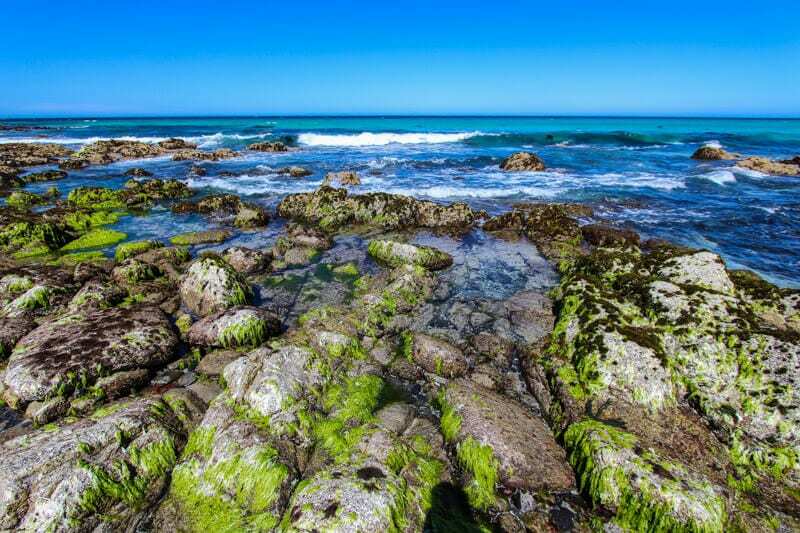 Take a 20 minute walk along the beach to the south will give you magnificent views back over the Hazards. 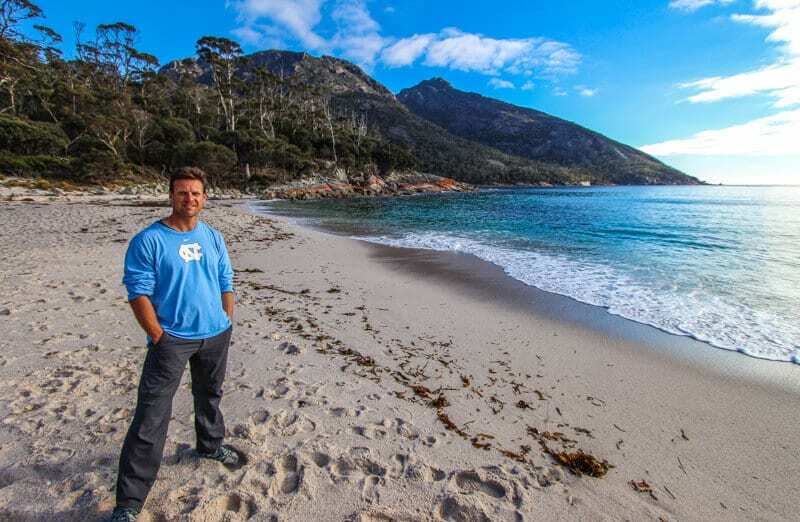 4 to 5 hours – from Wineglass Bay a 30 minute flat walk to Hazards Beach. Turn right and follow the beach to its northern end and join another track that follows the coastline for about 5 kilometres back to the carpark. Start early, arrive for sunrise and beat the crowds. Take a light breakfast and watch the day begin with magnificent views. Take a tripod for best photos + selfie shots. 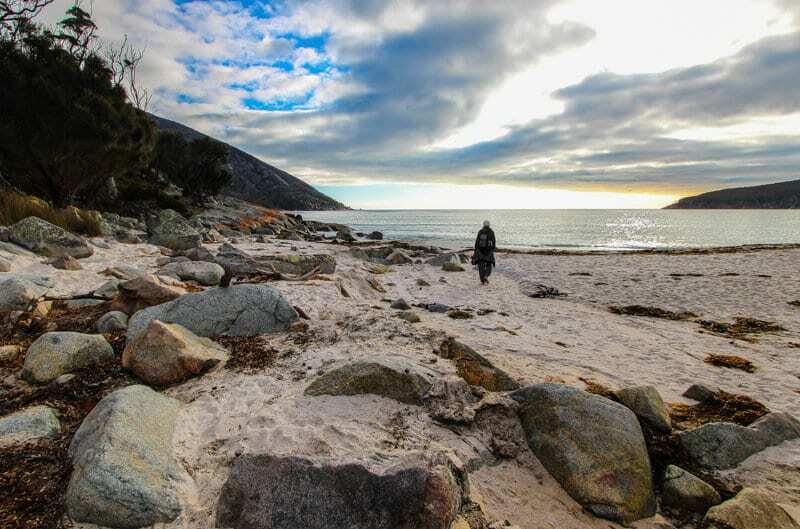 Just a 30 minute flat walk across the small strip of land from Wineglass Bay brings you to Hazards Beach, a beach that is pure, remote, desolate, peaceful, and breathtaking. 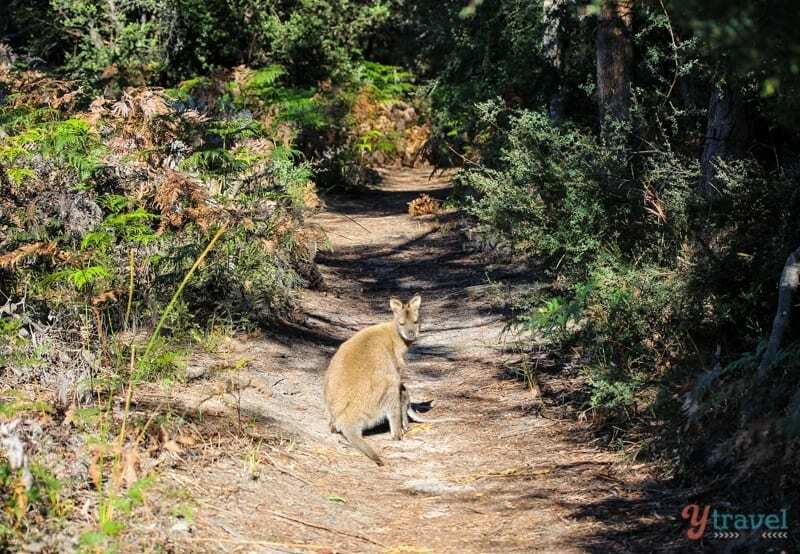 Along the track, we got lucky and came across a Wallaby going about his morning, and he was kind enough to pose so we could get a quick pic. Once you reach Hazards Beach, you’ll probably experience what we did and have this piece of paradise all to yourself. 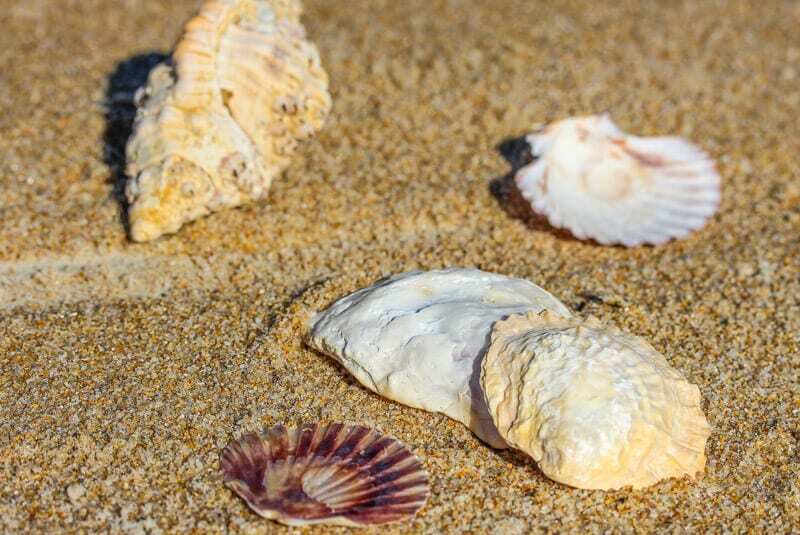 Sit for a while, then wander the rocks around the headland at the northern end of the beach and you’ll find pretty shells and starfish. 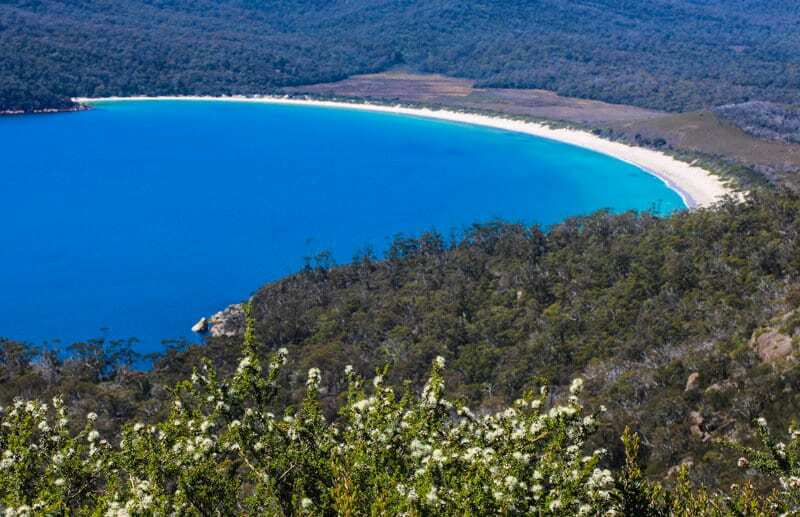 Both Wineglass Bay and Hazards Beach feature in our 38 best beaches in Australia list. 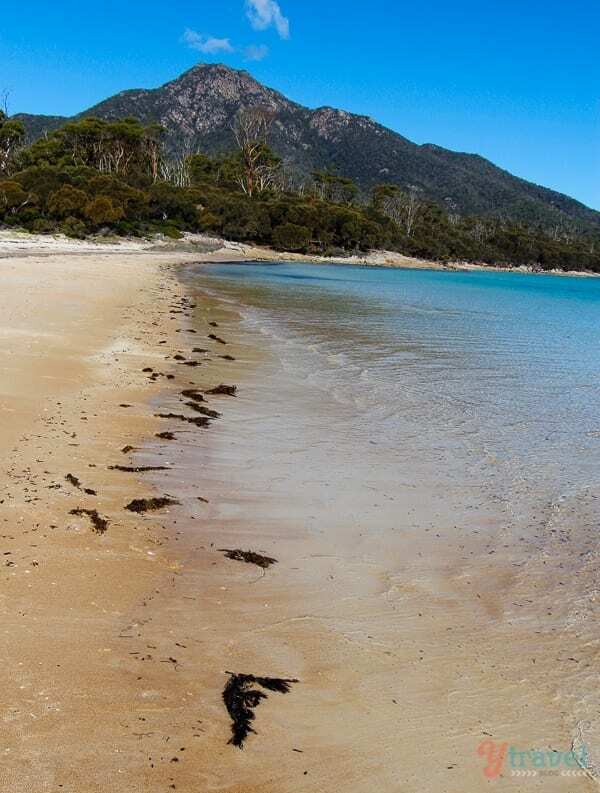 The village of Coles Bay is known as the gateway to Freycinet National Park. 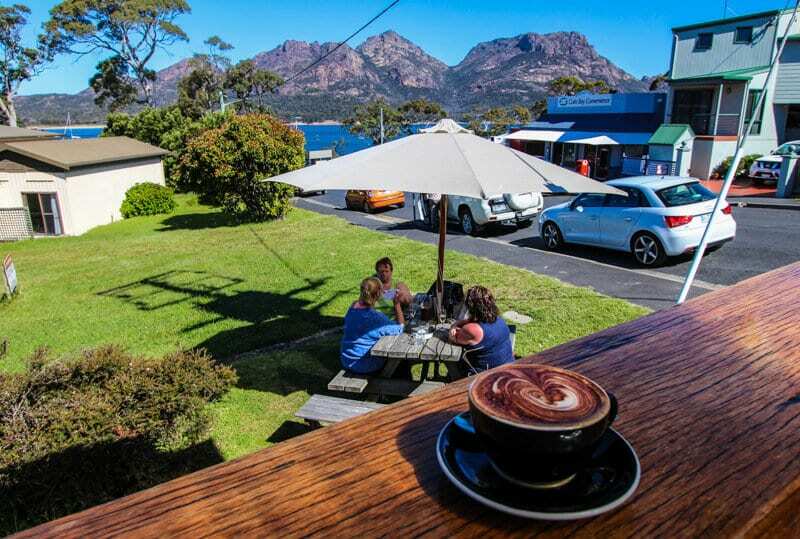 Set in a spectacular location with uninterrupted views of the red and pink granite peaks known as The Hazards, it’s a small town with a few shops and cafes – don’t miss Tombolo Restaurant and coffee bar for great coffee + wood fired pizzas with stunning views. 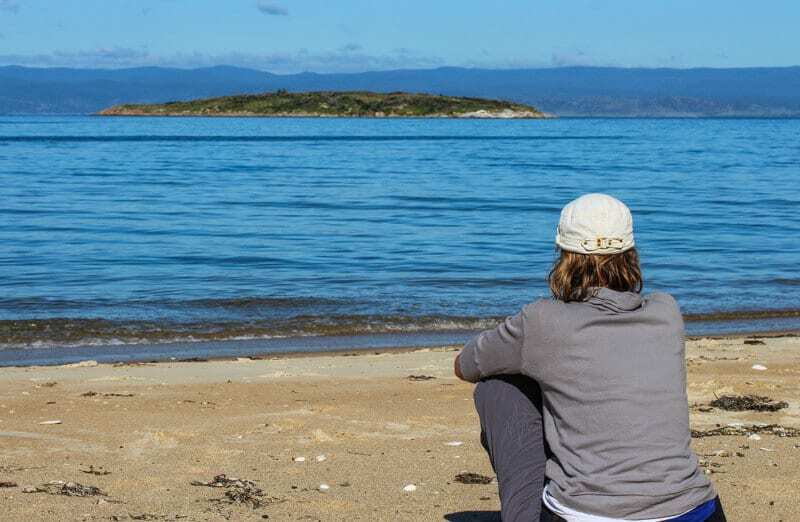 Coles Bay is a great base to explore Freycinet National Park. 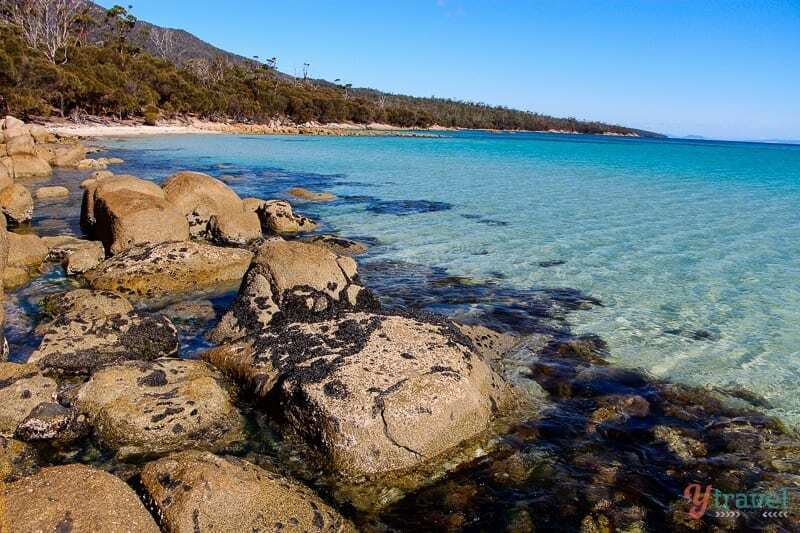 Beautiful Honeymoon Bay is a bay within a bay, being part of the larger Coles Bay. It’s a popular destination for picnics and snorkeling and offers stunning views over the hazards. 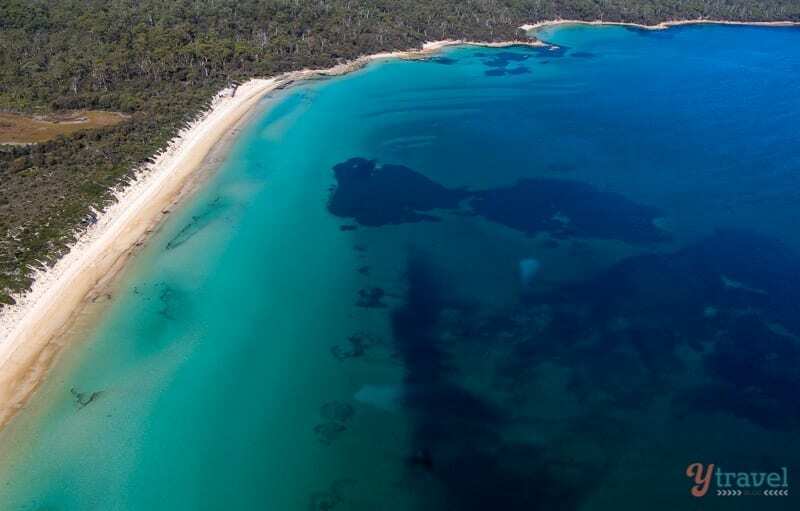 The Friendly Beaches form part of Freycinet National Park. Spectacular views and miles of unspoiled white sand beaches are the main features of The Friendly Beaches, which were added to the national park in 1992. 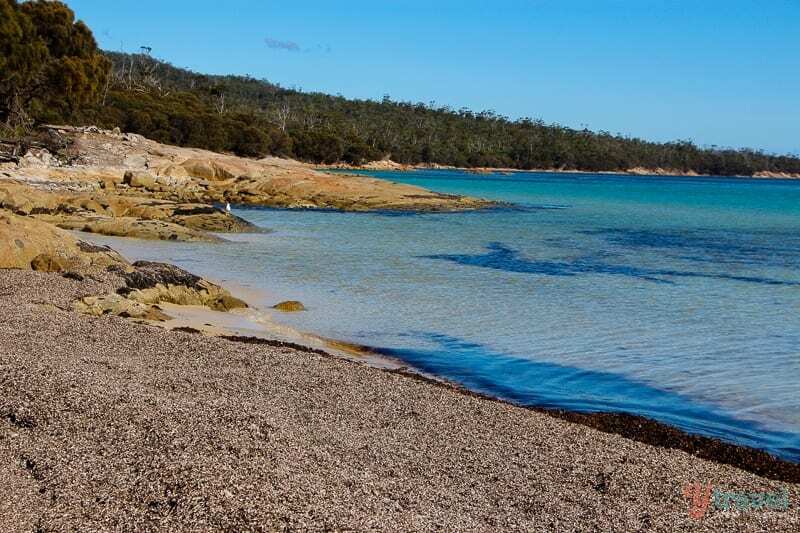 The beaches can be reached via a signposted turnoff on the Coles Bay Road. 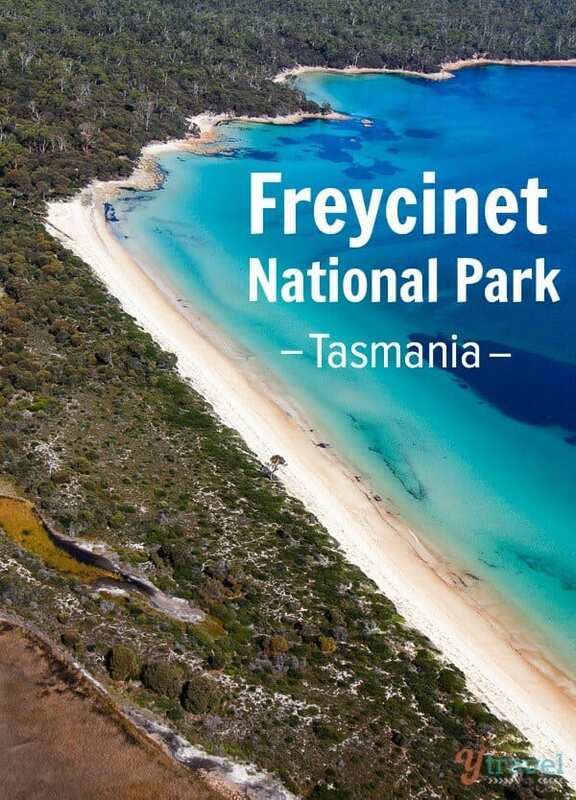 If you pick up a rental car from Hobart then Freycinet is approximately a 2.5 hour drive (195 kilometres). If you pick up a rental car from Launceston, the drive is two hours (175 kilometres). 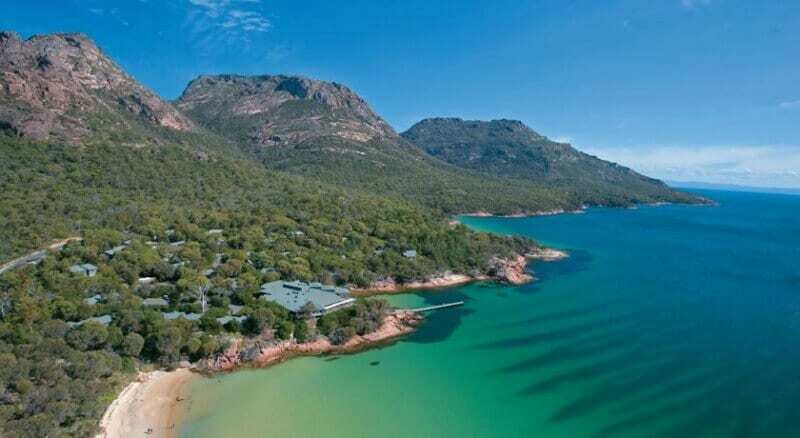 Freycinet Lodge is the only accommodation located inside Freycinet National Park, and it overlooks the blue waters of Great Oyster Bay with the rugged Hazards mountain range as a backdrop. Luxurious chalets range from one and two rooms to exclusive couples’ retreats and luxurious, 4.5 star premier suites. There’s free parking, free wifi, and two restaurants. 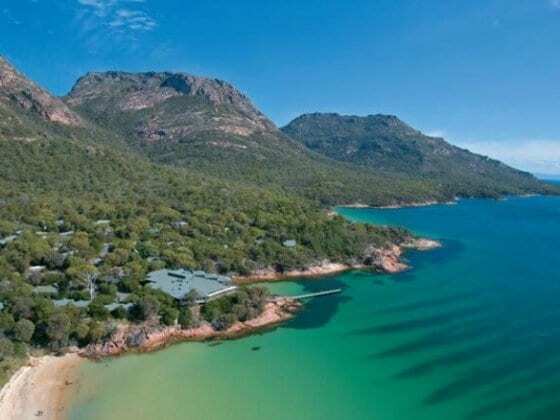 If you’re looking for luxury accommodation near Freycinet National Park, Saffire Freycinet has recently won a ton of awards, including number 1 luxury hotel in Australia. We haven’t stayed there, but it looks and sounds spectacular. This is where we stayed, and as soon as I saw it I knew we were going to love it, if not for the name alone. 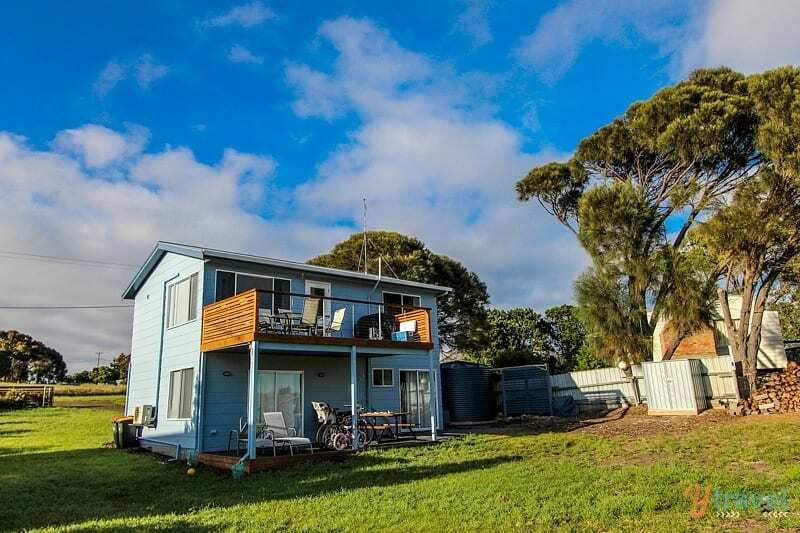 The Blue House is located where the Swan River meets Great Oyster Bay, only a 5 minute drive from Coles Bay and world famous Freycinet National Park. 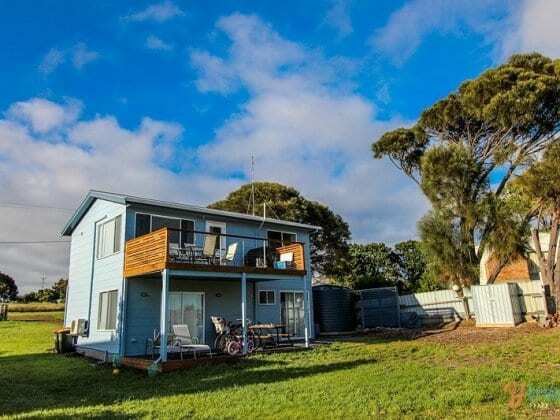 It’s serene and quiet and stunning and the perfect place for a family to stay. The owners provide kayaks free of charge, there are fishing rods for use, plenty of games to play, shelves of DVD’s and piles of magazines to read. 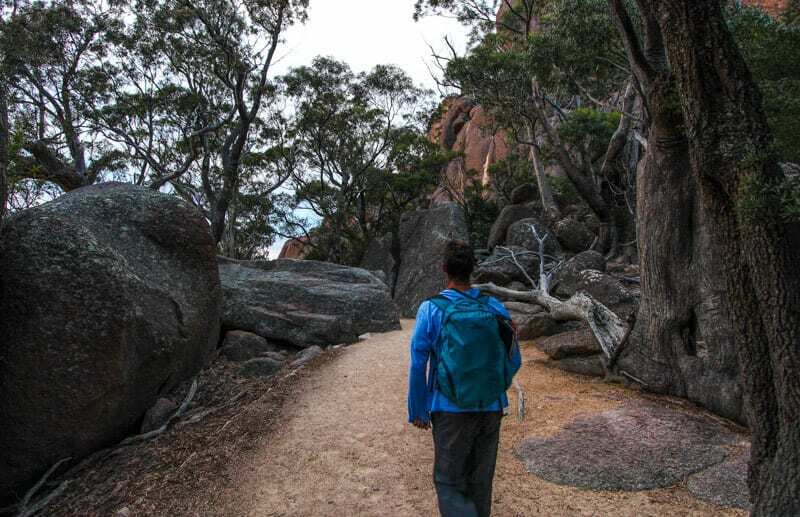 For a full list of accommodation at Freycinet National Park click here! We could have stayed at Freycinet National Park for at least a week. 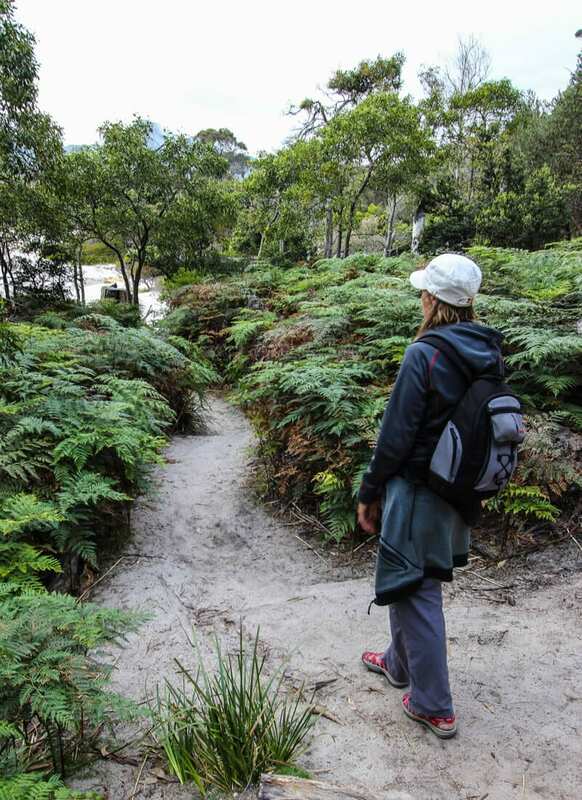 Spending our mornings enjoying the walking trails around the national park, having champagne picnics at the lighthouse for sunrise, rock scrambling at Honeymoon Bay, and hiking down into one of the world’s most iconic and beautiful beaches – Wineglass Bay. What a beautiful country you live in! I can see why this is a favorite place of yours. And I love that shot of Caz walking among the ferns. How fun that you can explore the area in so many outdoor activities–kayaking, hiking, etc. Sure is beautiful Jenna. We’ve been fortunate to experience a lot of Australia’s beauty and nature, and Feycinet National Park is up there with the best. Love, Love, Love Freycinet National Park, though I think it’s hard to go wrong with any of the parks in Tasmania. When not in nature, the MONA (museum of old and new art) in Tasmania is one of my favorite museums in the world. As i write and think more about Australia, I think Tasmania is my favorite place in the country. 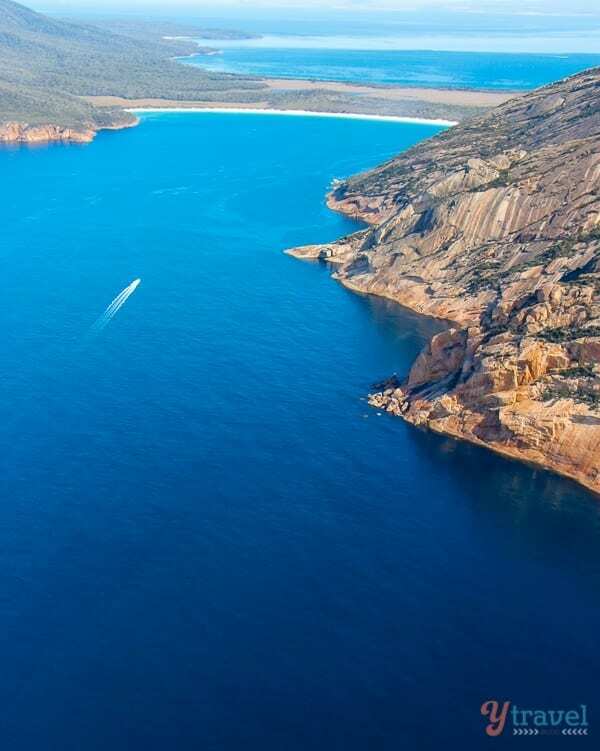 Amazing place..Wineglass bay is beautiful..Thanks for information.. I don’t agree with you Sam. I have been to Wineglass Bay and it was disgusting. Trash everywhere, scammers harrassing tourists, stray dogs. Just not nice. I don’t think you should be lending your support to a place like that without ever having experienced it yourself. Lazy and dangerous. Why was my previous comment deleted? I have been to Wineglass Bay and found it disgusting. That is a valid contribution to this blog. Your comment was not deleted. It was waiting to be approved. 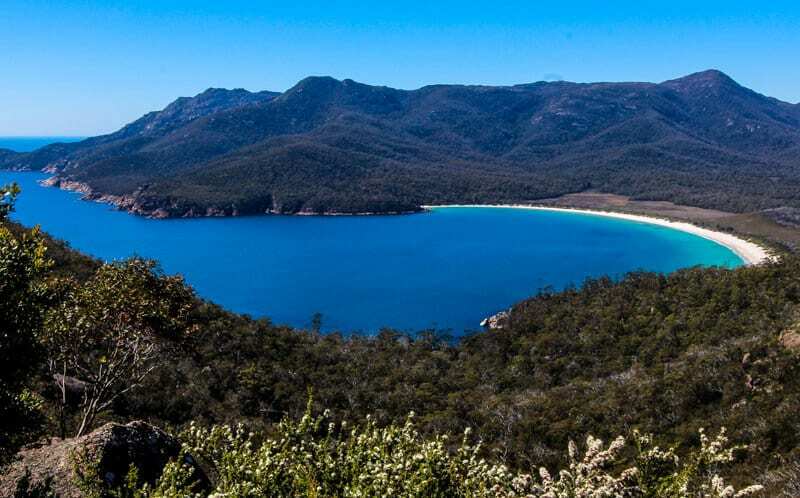 You’re the first person I’ve ever met to say something negative about Wineglass Bay. You’re entitled to your opinion fro sure, but I did not see one piece of trash, scammers or stray dogs. Are you sure you have the right place? It’s pristine and we had the entire place to ourselves when we visited. I’ve been to Wineglass Bay, albeit a long time ago, and still think it is one of the most beautiful and pristine places I’ve ever been. And I’ve been to a lot of beautiful places. Are you sure you’re not confusing it with somewhere else? I can see why it is your favourite place. Beautiful coastal scenery and rugged wilderness. I’d love to go see it myself! I went to Wine Glass Bay last November. It is very beautiful. I went to Brunny Island as well and I found they ‘bay’ view from the look out point quite similar. Through those stunning photographs and your words, you quickly took me away from the bay area to Tasmania. Thanks for sharing it. I would love to spend some time in the village of Coles Bay. Just stumbled across this post while doing research for my Tassie trip in January. The colour of that water is just amazing! I will be quite pushed for time but had been planning to hike up Mount Amos. Do you think it’s worthwhile going that extra way, considering the views from the lookout already look pretty spectacular? We didn’t go up the top of Mount Amos so can’t say for sure. However, if you’re pushed for time, I’d be more inclined to say don’t worry about it and spend more time enjoying the trail we did which does give you spectacular views.